We’ve all been there, probably more than once. Just not sure what the nature of our character is going to be. Sure, we can knock out our stats and special abilities and gear in no time, but – who is this person? What’s her story? What are her quirks? What am I going to do to make her distinct and interesting? As with so many other elements of gaming, Ennead Games has you covered with scads of useful details and inspiration. 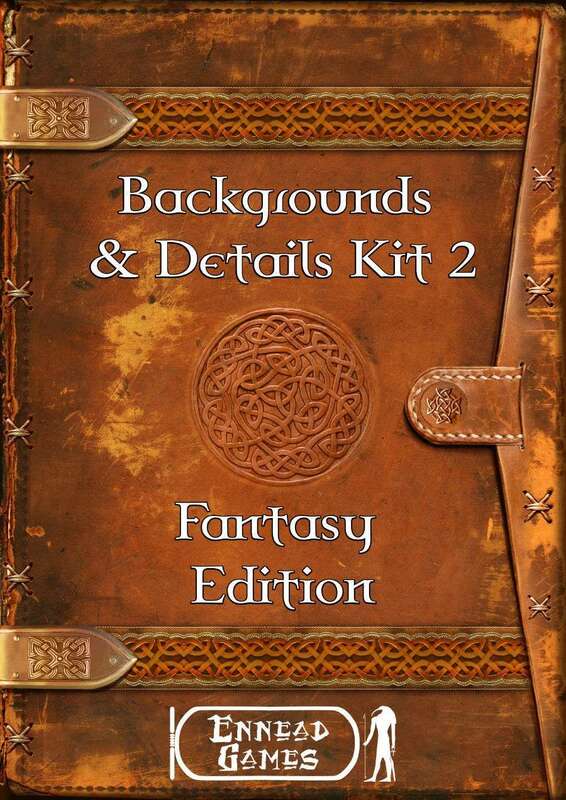 In 2012, the original Backgrounds and Details Kit from Ennead Games was released. Now, several years later, it has been remade, with more options and the original set of details expanded on and improved. Combining this publication with content from others that have been made over the years and new features added the BDK 2 was made. Designed for both players who want to flesh out their character and GMs that wish to make an NPC that little bit more believable. This publication is divided into multiple parts; quick, detailed and life events. The quick section is for when you want just the basics. It covers the characters age range, their gender, species, profession and personality – Make an NPC with only a few rolls. Detailed is when you want more details for your characters or NPCs or to help flesh out an existing characters background. You may need a flaw, a secret or just can’t decide what colour the characters hair is. You probably won’t be using all these details on one character at once. This section gives you hair style, skin, friends & family, fears/phobias, motivations and much more. Life events cover major events in the characters life, from birth, through adulthood and method of death, if needed. When using theses tables, especially the detailed background ones, you may get what appears to be conflicting results. But don’t despair or re-roll these results as some of the most interesting characters can come from what appears to be conflicting information. 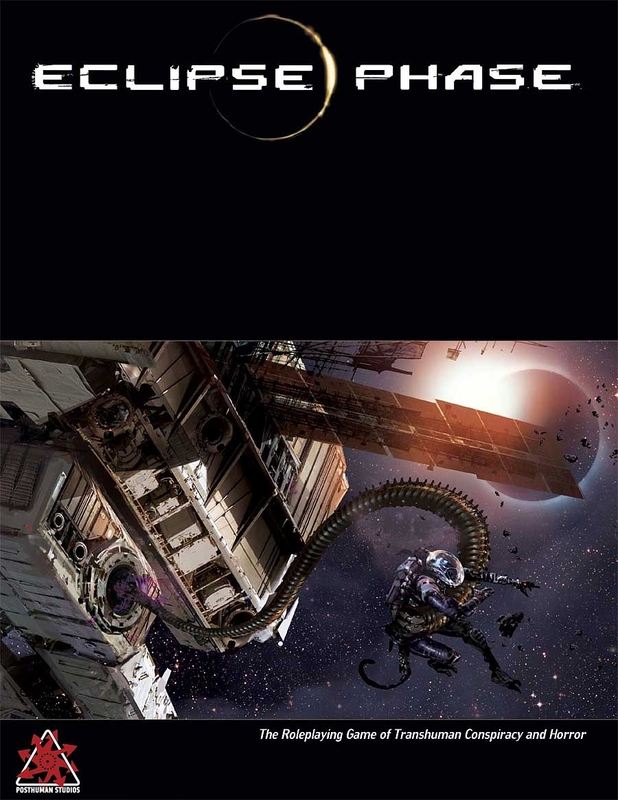 Last week, I Picked the core Eclipse Phase book, as it was on sale and it’s an important part of the posthumanism genre of gaming. And now, there’s a fantastic collection of fiction from the same folks. To get a feel for the genre in general, and for their setting in particular, I invite you take a journey to a possible – and dangerous, thrilling – future. New Year, New Game Sale – Three Days Left! New Year, New Game – the date may have passed, but the games are here! d20 Future Bundle – Save 60%! – The future is what you make of it. With access to space travel, cybernetics, mutations, mecha, and more in d20 Future, heroes may battle across alien worlds, survive on postapocalyptic Earth, voyage to distant galaxies, and explore alternate dimensions. Mutant Year Zero Bundle – Save 61%! – The cities are wastelands, winds sweeping along streets turned graveyards. But among the ruins, the People live. You are the heir of humanity – but not quite human anymore. Your body and mind are capable of superhuman feats. You are mutant. Shadow of the Demon Lord Bundle – Save 62%! – In the desperation of the last days, the world must take what saviors it can: heroes, blackguards, madmen, whoever is willing to stand against the coming darkness. Will you fight the demons, or will you burn it all down and dance among the ashes? Conspiracy X 2.0 Bundle – Save 62%! – Conspiracy X takes place in a world of dark secrets and hidden agendas, where the only certainty is nothing is what it seems. The president might not be human… and the madman on the corner ranting about CIA mind control satellites may very well be right. Dying Earth Bundle – Save 61%! – The sun is now a swollen maroon orb. It stutters and blinks. At any moment it may go out. Dig anywhere and find a buried city or the shore of a vanished sea. Deodand-haunted woods stretch from decadent Kaiin to the Land of the Falling Wall. Want even more savings? Nearly 1,000 more core books, all on sale for 25% off! Click here! Seriously, friends, these are some amazing deals. Do not miss out! If your soul is stirred by the concept of using beautiful and effective language in writing, I’ve discovered a gift just for you. I’ve also discovered quite possibly one of the most original ideas I’ve ever encountered for a game – a solo-player game, at that! To get an understanding of just what it is – and what it can produce as a result of playing – check out this review. It’s Pay What You Want, so you really have very little to lose. Just remember, as with all PWYW products, you should feel free to “buy it again” in order to support the creator if you discover it’s worth more than what you paid the first time. 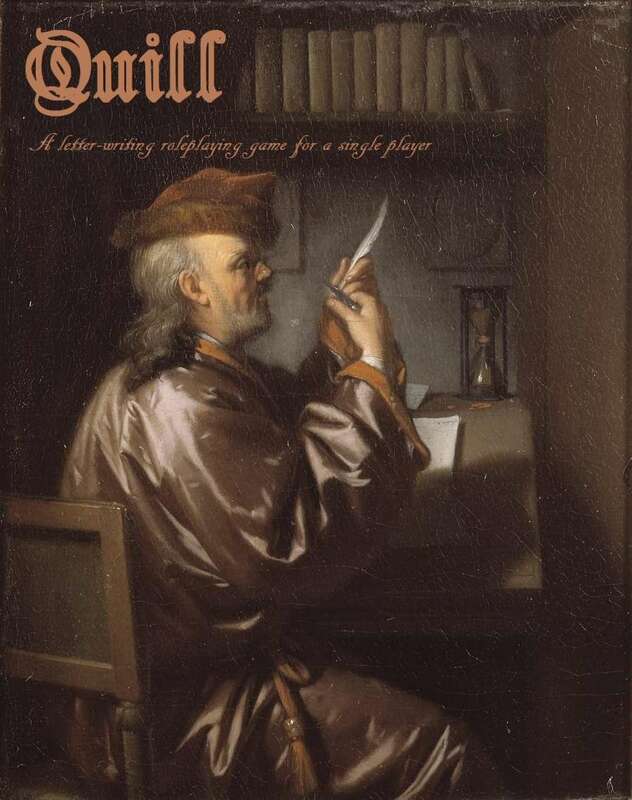 Quill is a solo roleplaying game with a twist. Instead of hacking goblins and looting caves, you are writing letters. Rather than having attributes like strength or dexterity, characters in Quill use Penmanship, Language and Heart. In a game of Quill you will write real letters, with the aim to craft the best, most beautiful missive possible in order to get a favourable response. You will use words from the Ink Pot to inspire your letter – but be warned, should you roll badly you could end up writing a bad letter. If you’re looking to kill some time, Quill is a perfect roleplaying distraction and something completely different from anything else out there. Due to the lovely response to the game online, Quill is now a living document. New scenarios will be added on a fairly regular basis. Wow. Seriously, wow – this one takes me back. The “Against the Slave Lords” series was one of the truly great adventure series, and for me personally, it had greater meaning as it really refocused players away from dungeon looting and directed them towards acting like heroic adventurers, trying to do some real good in the world. Let’s face it – slavers make the best foes (like Nazis and ninjas…). Interestingly, the product came out in a revised form during the D&D Next playtest period, which makes it pretty compatible with 5th Edition with just a little bit of effort on the DM’s part. 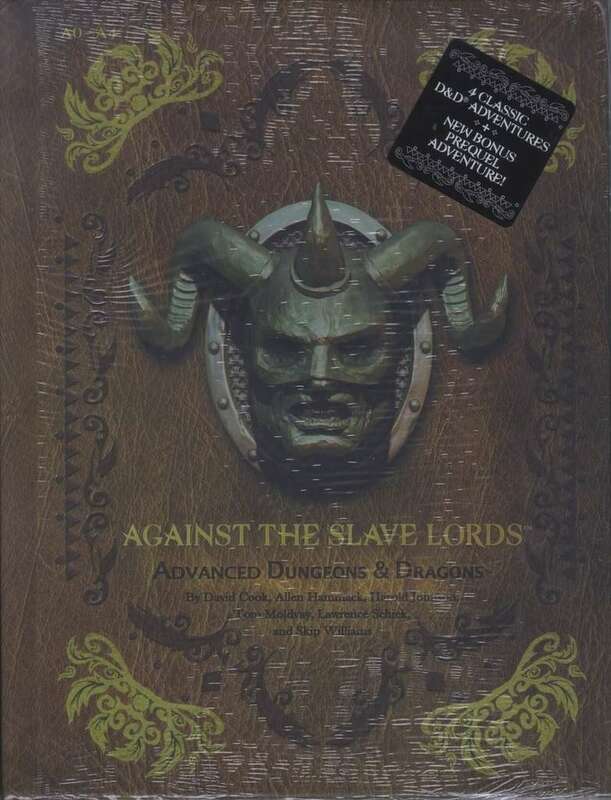 Against the Slave Lords is a collection of four classic Advanced Dungeons & Dragons adventure modules that form a series — A1: Slave Pits of the Undercity, A2: Secret of the Slavers Stockade, A3: Assault on the Aerie of the Slave Lords, and A4: In the Dungeons of the Slave Lords — complete with original black-and-white interior art. Added to the collection is an all-new fifth adventure — A0: Danger at Darkshelf Quarry — that you can use to kick off an AD&D campaign that pits a group of adventurers against the evil Slave Lords! Module A0, designed for levels 1-3, sets the stage for events that unfold throughout the remainder of the “A” series. Check out the faux plastic wrap for the cover! 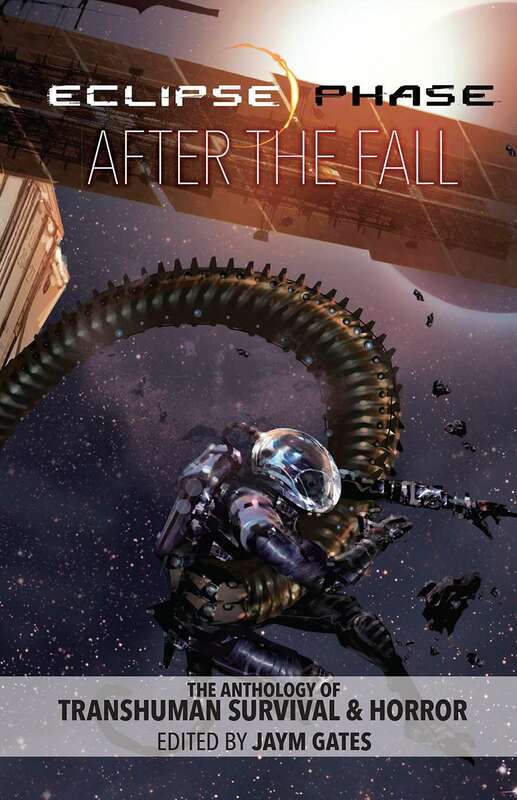 If you’ve had any wondering about Eclipse Phase – arguably one of the leading posthumanism games in the gaming marketplace – now is a really good time to grab the core book. For the rest of January, it’s on sale from $19.99 to just $9.99. The PDF file equivalent to the fourth printing of Eclipse Phase is available for download, complete with a fully-hyperlinked index! Eclipse Phase uses a d100/percentile system, with some twists. It’s fast and simple; streamlined so players can dive into the world and action without being burdened by complex rules. Back up your character’s mind and be restored from backup in case of death–a built-in system of “Save points” and functional immortality. This gives fans the ability to create and share free Eclipse Phase material. Whether it’s homebrew adventures or hacks and remixes of the Eclipse Phase rules–go for it! I’ve played this game, and while it has some interesting, mechanically-fiddly things going on that aren’t my normal cup of tea (remember, I am a Savage Worlds kind of guy, so more complex rules sets aren’t my usual first choice), I readily see how the setting and experience is compelling. The game-setting has a legion of fans, in great part due to being something both unique and effective in a hobby where it pays to stand apart from the crowd. HC SVNT DRACONES: Core Extended brings your HSD game up to the next level. Contained within this book are over two dozen new playable character options, new surgeries, new focus abilities and implants, additional playable races beyond Vectors, and lore detail to help players and Guides alike get a better grip on their world. All these features can slot into existing HSD games to provide greater depth and variety to your gameplay. 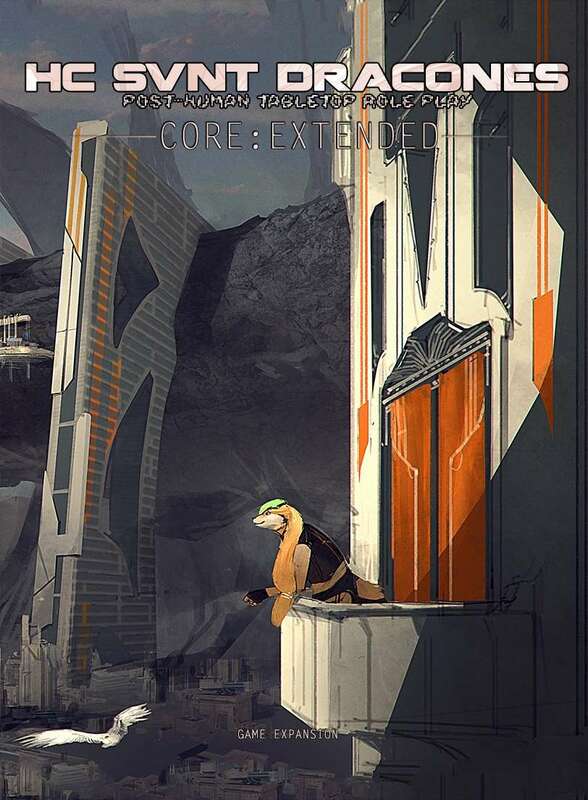 Core:Extended is an expansion to the HC SVNT DRACONES role playing game, and as such you will require the core rulebook to play. Rules included in C:E can be applied to existing campaigns immediately with no need to make new characters (though with all the new options, you may want to just to be someone new!) C:E also includes the C:E combat addendum, which changes the way combat works in HSD. It’s my birthday, running out the door, but this is a no-brainer Pick to be sure – pretty much vital for anyone wishing to maximize their enjoyment of Mage 20th. Mage: The Ascension’s flexible and ambitious Sphere system has provided many questions and debates for over 20 years. 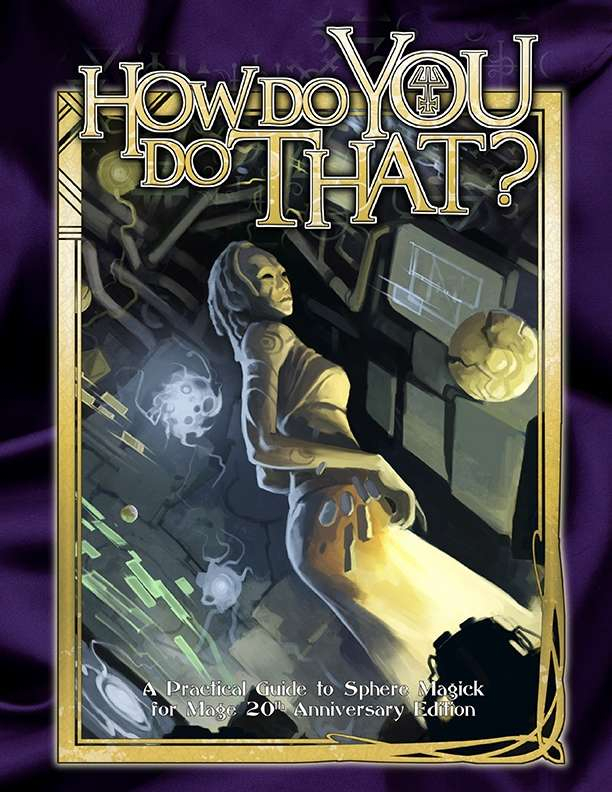 Here, now, in this book, we answer the eternal question How Do You DO That? with hundreds of reality-altering feats – puppetry and possession, elemental command, martial arts prowess, illusions, and far, far more – all presented in simple, casual, and quite often profane English. And, as promised, today’s Bonus Pick, DramaScape’s hugely versatile downloadable figure-scale terrain maps. Usable for real tables and virtual ones, this set is under that amazing Pay What You Want scheme that let’s you grab the lot for what you feel it’s worth (and what you can afford). Fantasy Tiles includes six unique modular 6” x 6“ tiles with two doors that can be used to make a small dungeon in fantasy games. 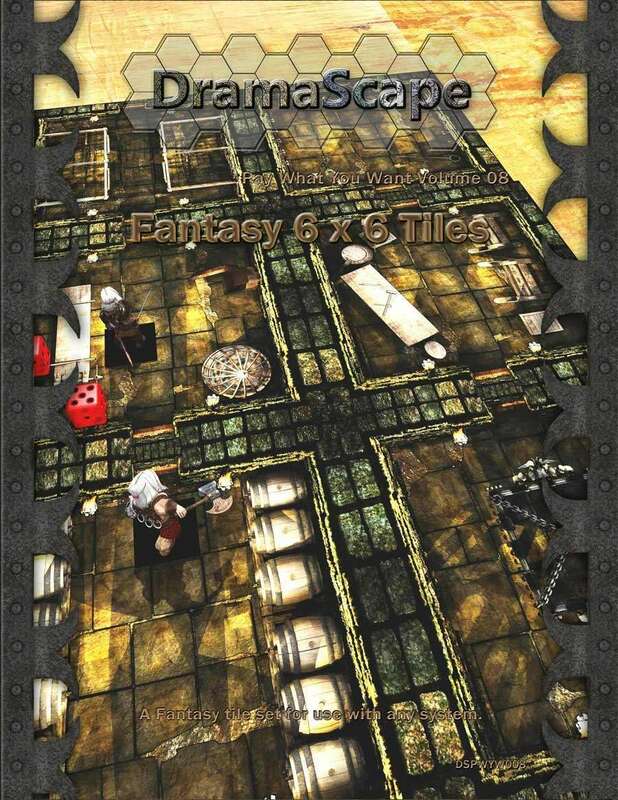 Fantasy Tiles is intended for use in fantasy, horror, or medieval historical era games. What Lies Beneath: Attending a party at a rich noble’s mansion, the group enjoys a fully catered dinner, plenty of wine and ale, and entertainment. In a lull in the festivities or a trip to the bathroom, the butler tries to speak with one of the Player Characters in private. The butler wants them to investigate the wine cellar below. He says he hears screams at night when grabbing wine or ale from the cellar. It’s up to the Player Character to tell the group and investigate or ignore the butler’s request. As the party continues, more and more people start falling asleep as they consume more and more of the food and drink. Even the group starts to feel tired and sleepy. With each new slumbering guest, it becomes harder to slip away from the party.